The ` Wayang kulit` is a shadow play. 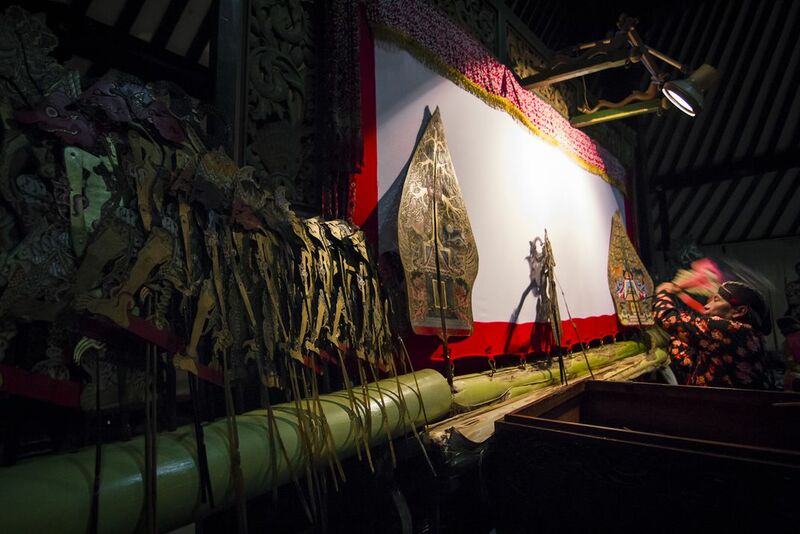 The `Wayang kulit` performance needs a screen, puppets , Javanese musical instruments , Javanese musicians and singers , and a `Dalang`. At night three is a special lamp. Under the screen are the banana tree.